Plans were available for the home builder but most were built of Fiberglass. 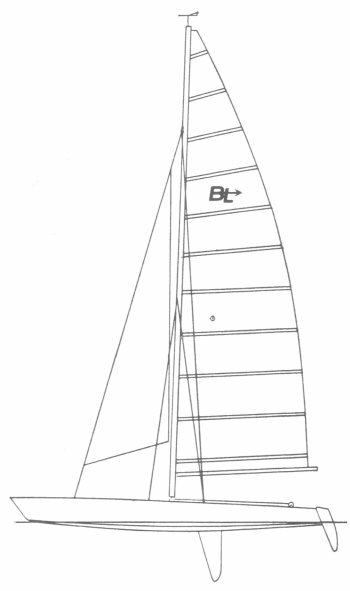 It's popularity was soon eclipsed with the introduction of the TORNADO (another B class cat) a few years later. All up weight is from original plans. 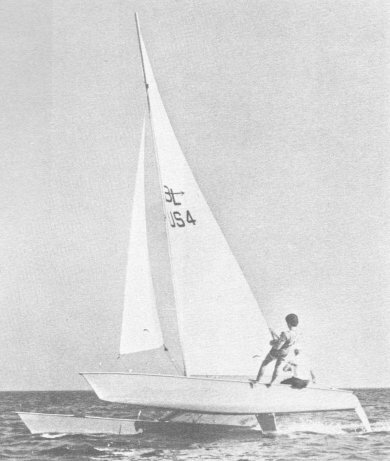 A series of articles appears in 'Popular Boating', July, 1965, from both a builder and the designers covering the design process and building instructions for amateurs.